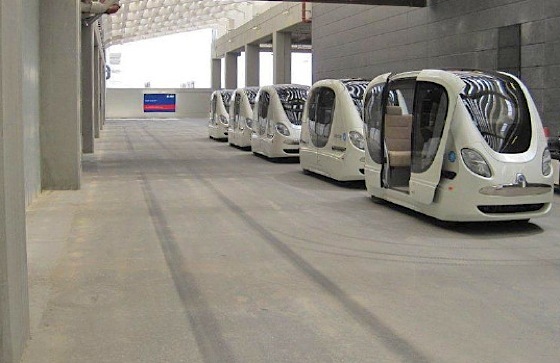 Conceptually, the Mini T is a trackless trolley or shuttle that would offer the same feasible rapid-transportation a light rail would offer. 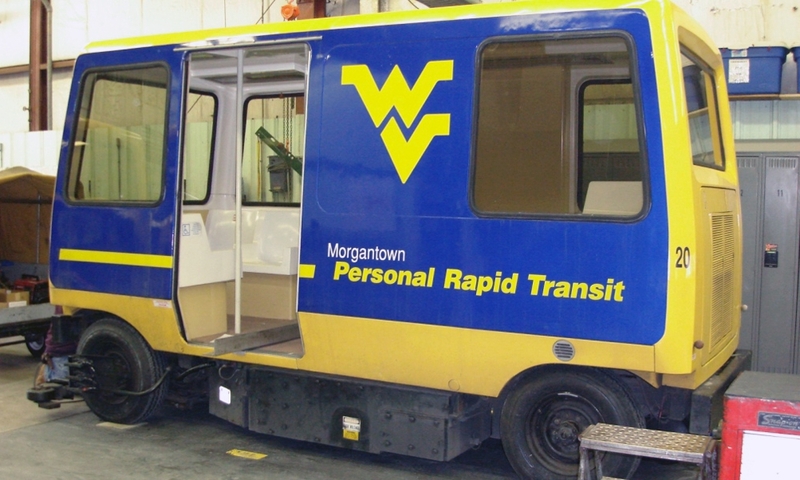 Such examples are already out there, whether models or operating, that can be drawn upon to create our own unique trolley to Pittsburgh. 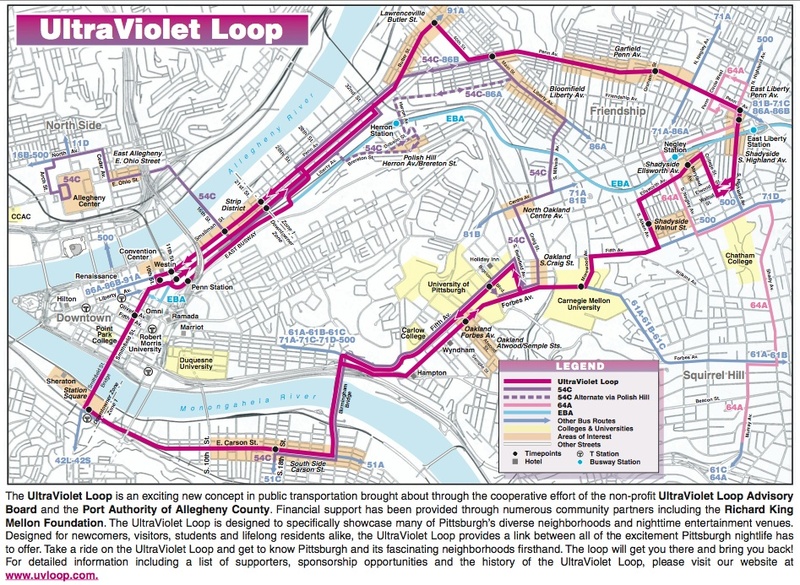 With the recent viral proposal of Ben Samson’s Pittsburgh Light Rail System Thesis as a feasible network expansion circulating- the Mini T would offer the ability to collect data to support investing in the extensive rail system Pittsburgh desperately needs. Unfortunately, our Port Authority, city officials, and legislatures at large describe the financial status of our public transportation dire and unable to take on such an extensive building project without the support of data and money behind it. We need to show there’s a demand for it through a temporary or complimentary system to the current Pittsburgh T system can be expanded. The Retail Loops project is specifically to service business corridors and their neighborhoods. They will provide circuits with consistent bus stops in both directions for up to 3 corridors and be within walking distance to the next Retail Loop to explore additional local businesses in neighboring communities. To begin this initiative, we could start out a similar model like thefreeride.com/ that promotes mobile advertising with green transportation. Essentially, large companies would pay the operating company to create a brand experience on the free shuttle service. As Pittsburgh evolves in to a more urban dwelling city, with young families and younger folk, the transportation needs have evolved in to a more consumeristic lifestyle that’s technologically aware. It’s imperative that the retail loops operate as a business line, 7 days a week, with shorter stops and smaller fares to ensure success with riders. Do you remember the UltraViolet Loop? Maybe you’ve seen the “UV” posted on a bus stop sign. It was a grant funded project in 2002 to provide a closed loop bus route to all the neighborhoods with an active weekend night life scene. It had the benefit of later hours than most bus routes on the weekend, provided safe accessibility to popular areas, and it had the potential to really help the business corridors out by providing consistent arrivals at the same stops, in both directions. The Retail Loops are inspired by the UV Loop project with a focus on general consumerism rather than evening entertainment. We searched for reasons and data as to why the UV was unsuccessful and stopped service after two years, in 2004. Part of it was the extensive loop, which slowed down travel time, while folks who used the bus already had their schedules set with other lines that serviced the area- they didn’t feel the need to change. In addition, it wasn’t affectively promoted or targeted to the right market. It’s service hours were for those jumping bar scenes, including college students whom many already held free passes to use the service, further causing a lack of consistent funding from ridership. We love the idea and hope to see it’s concept for weekend night life entertainment be expanded as the Retail Loops help those riders trying to get by or future riders trying to eliminate car use for daily errands.